How do I fix tuning pins which are too tight or too loose? One common problem which can occur on a lever harp is that of a tuning pin either gripping too much and being too tight to turn, or being too loose and meaning the string cannot maintain pitch when tuned. There are ways to remedy both of these problems. You can watch Allan take you through the various methods by watching the video on the right, or there are images and simple explanations further down the page. For more tips on harp care, maintenance and how to clean your harp you can have a look at our guide here. 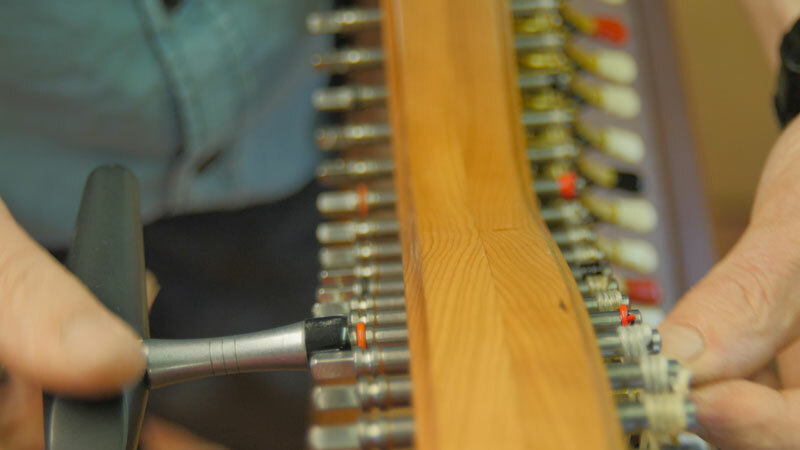 Tuning pins are held in the harp neck by friction due the fact that they are slightly tapered. To achieve the right balance of grip and a smooth action the pin must sit in a ‘sweet spot’ which does not hold it too tightly or allow it to move when under tension from the harp string. 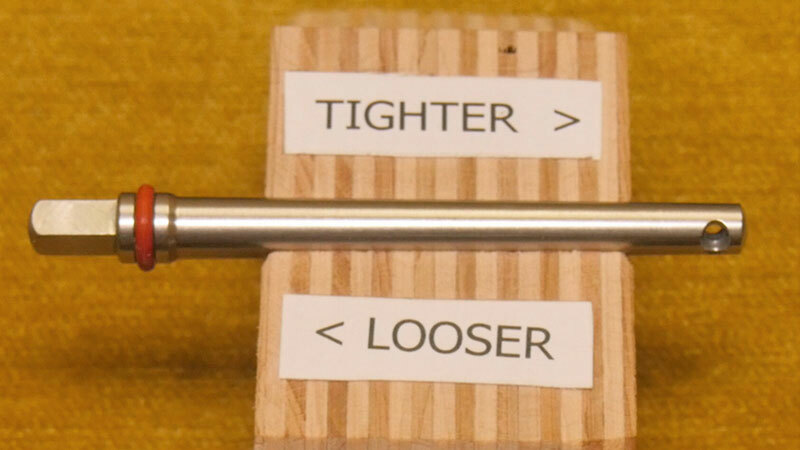 If a pin is sticking or is too loose, the first step is to unwind the string and remove the tuning pin. Sometimes wood resin can cause a pin to stick or become slippy, so use some cotton wool and nail varnish remover to clean it off. Re-insert the pin into the neck and re-attach the string. Begin slowly tightening the string by turning the tuning pin away from yourself (assuming you are standing behind the harp). You should slowly feel it begin to bite as the string tightens. Bring the string up to pitch. If the pin is still too loose or too tight you can control this by pushing the pin further in or out of the hole.